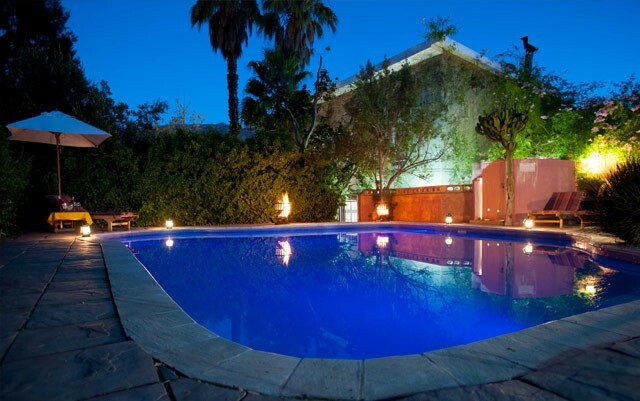 Within easy reach of two famous hot water springs, the perfect stop on a road trip to Oudtshoorn and the Garden Route. 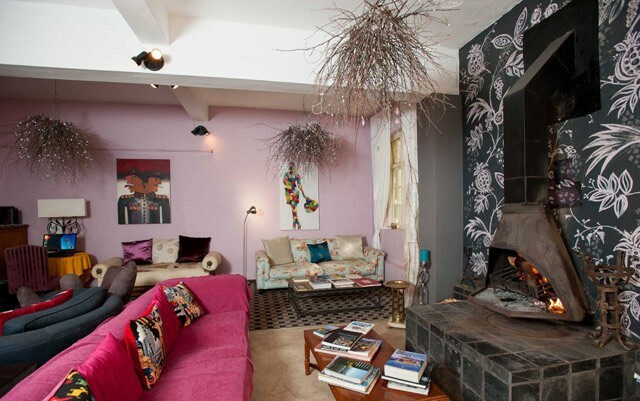 Or are you seeking a peaceful weekend bolthole from the city? 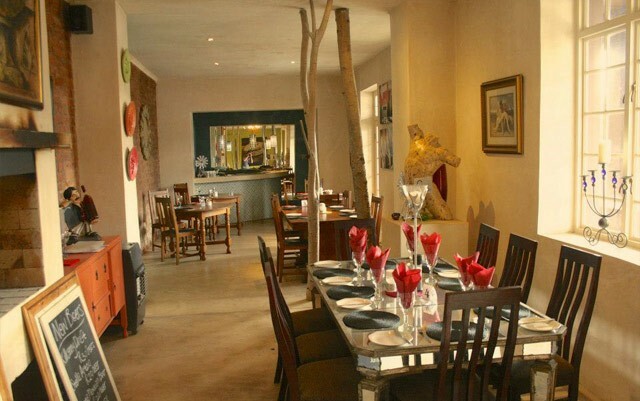 Or a fabulous, affordable exclusive-use party venue, or a conference venue, or a wedding venue? Come as a stranger; leave as a friend. 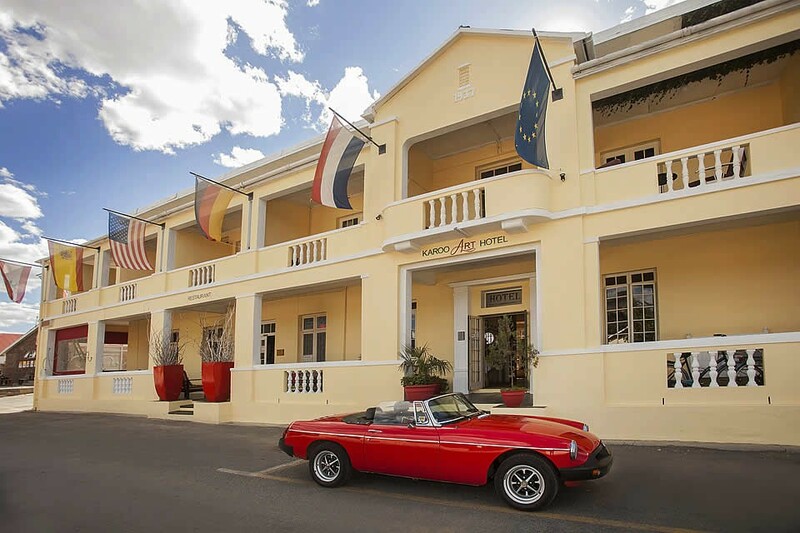 Because the Cape’s funkiest country hotel still offers that most vital ingredient: warm, old-fashioned Karoo hospitality. The warmth of a wood fire greets you the moment you step in. 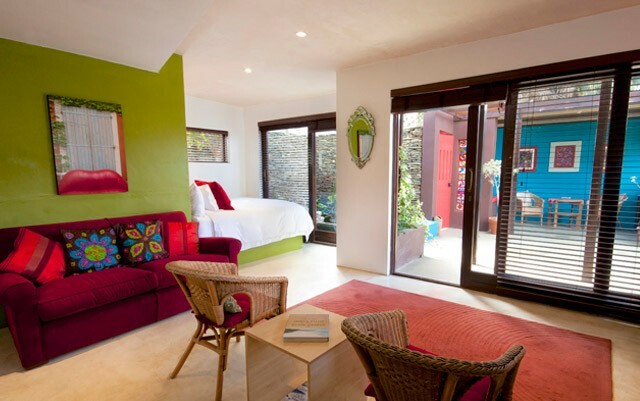 This is echoed by the interior of the downstairs living area, stocked with ample coffee table books on art and travel. Oversized chairs and sofas invite you to relax and put your feet up. It is evident that a very creative hand touched this hotel. 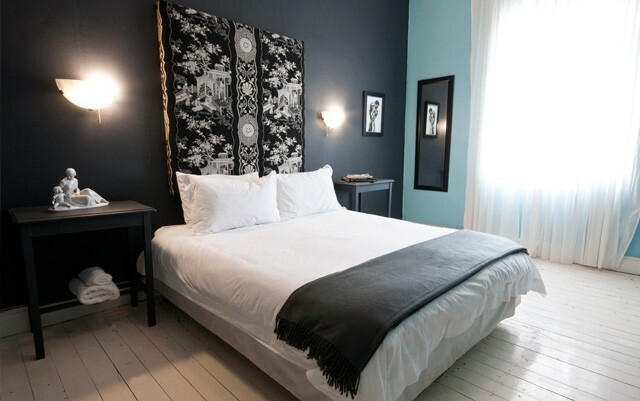 Interesting art, soft furnishings and mirrors meet you around every corner. 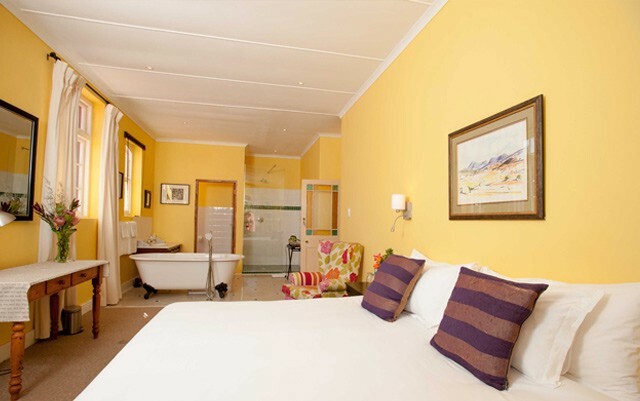 Our room was spacious, with a private balcony overlooking the farm-like town of Barrydale, and an en-suite bathroom offering a shower only. 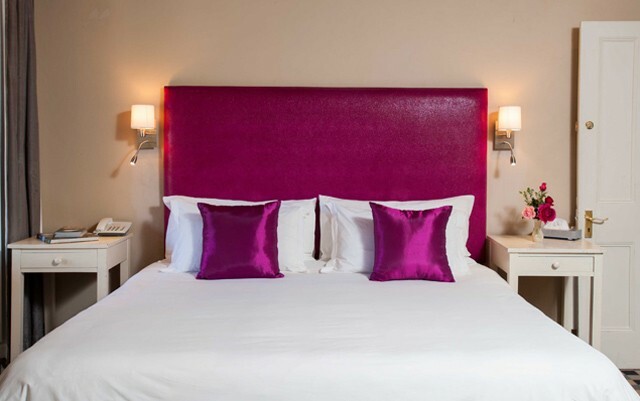 Our king-size bed was fitted with crisp white linen and we could fix ourselves a proper cup of filter coffee in the room every morning – a much appreciated touch. 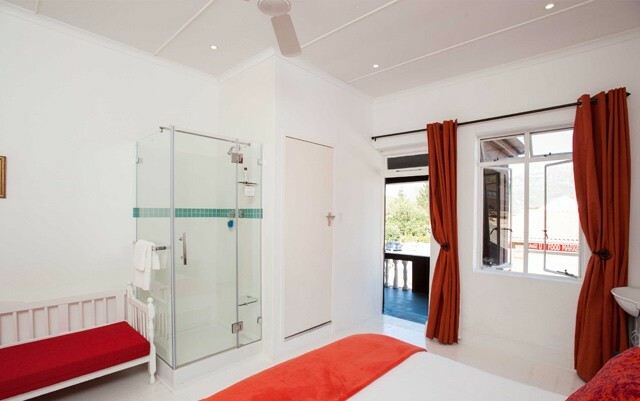 Take your pick from 15 rooms. 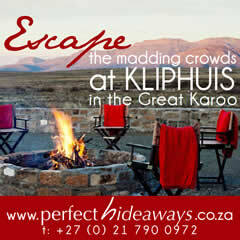 Some offer classic Karoo accommodation, country style. All are completely individual in character. 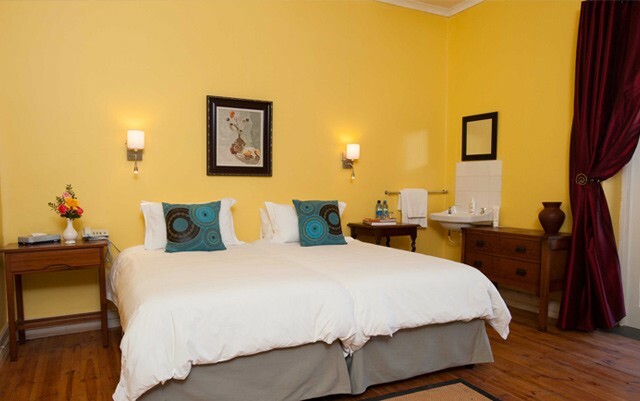 Most are furnished with King or Queen size double beds (with additional mattresses available if you are traveling with kids); various single-bed configurations are also available. 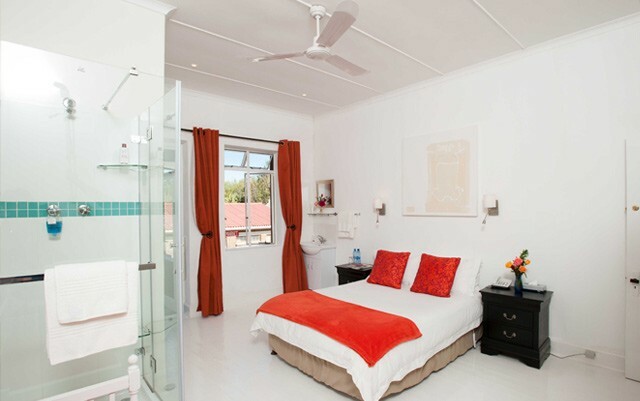 Whichever room you choose you get that extra quality that count: top quality mattresses, soft percale linen, piping hot showers. 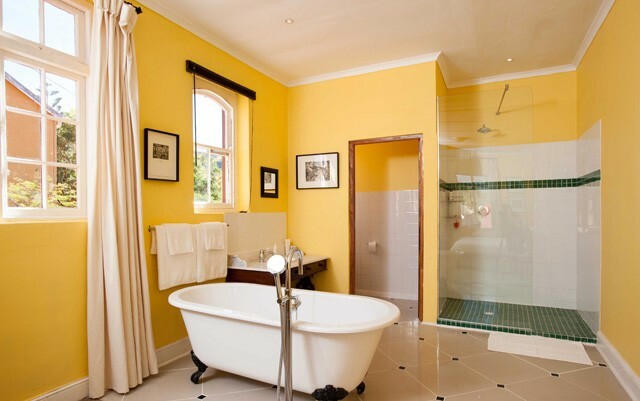 With the exception of the Garden Suite, all rooms are located on the first floor, some with views from balconies overlooking the village or garden. 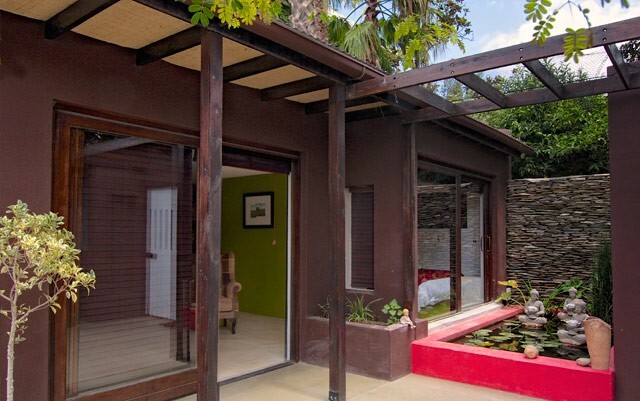 Access by staircase – no lifts in Barrydale! We offer secure off-street parking. 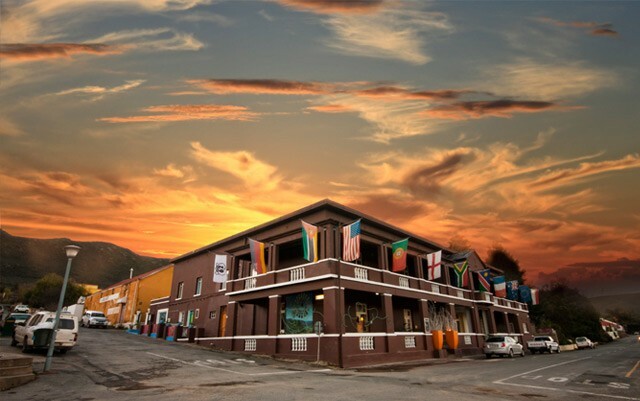 In general Barrydale is quite safe and we have never had any damage to cars or break-ins over the last 3 years, even with the cars parked in the on-street parking bays outside the hotel. For car clubs and motor cycle clubs that require the service, we would be happy to appoint a night watchman to guard your cars/motor cycles for the night should the whole hotel be booked. 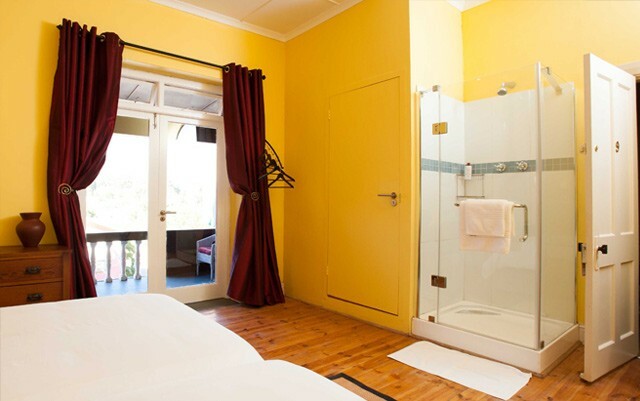 For cycle tour groups we offer a secure overnight locked storage facility in our historic Belanti Theatre for all bicycles. 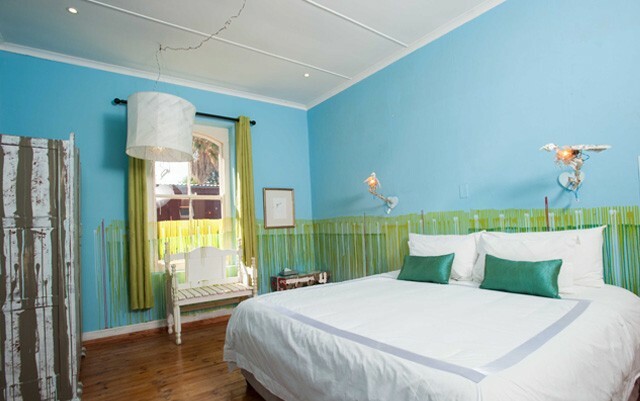 Experience Barrydale and unique Klein Karoo accommodation – the place to become well-rested and relaxed. Head southeast on Darling Street toward Parade Street 350m. Slight left onto Sir Lowry Road 240m. Take the 1st left onto Christiaan Barnard Street 1,1km. Turn right onto the N1/Table Bay Boulevard ramp to Paarl 500m. Merge onto N1 Partial toll road 107km. Turn right onto Roux Road 1,1km. Continue onto Riebeeck Street 450m. Turn left onto High Street 400m. Turn right onto Robertson Road 2,8km. Continue onto R60 Go through 1 roundabout 62,4km. Turn right onto Laing Street 160 m.
Take the 2nd left onto Van Riebeeck Street. 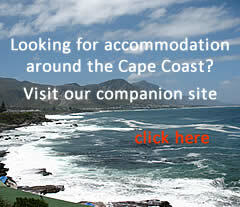 Karoo Art Hotel will be on the right 13m.